September 5, 2011 would have been Freddie Mercury’s 65th birthday. (Happy birfday, Freddie!) The enigmatic Queen singer was 45 when he died of AIDS in 1991, twenty years ago, but he left behind an awesome library of music that few bands have been able to even measure up to. Whether you want to call it operatic rock, vocal metal, or just straight-up classic rock, the music of Queen from 1973 to 1989 was just phenomenal. 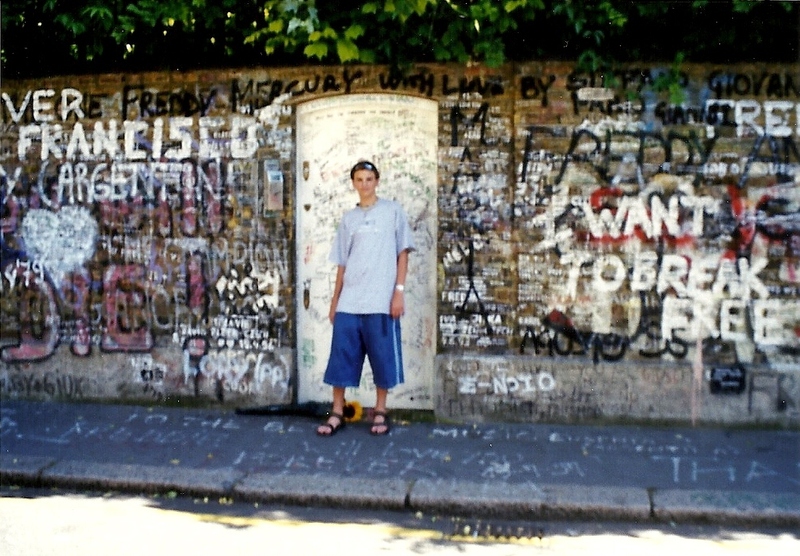 16-year-old Geoff standing outside Freddie Mercury's London home in 2000. Were those shorts ever fashionable?